We found our way into the old Jewish district and found the location of one of the 15th century synagogues. Jews were forced to convert or be expelled from Spanish-ruled Sicily in 1492, as in all Spanish lands. 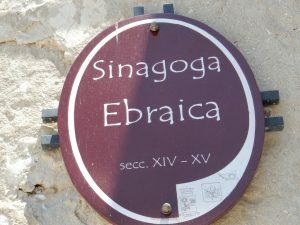 Licata and Ragusa also had Jewish communities before the explusion.